Now this can be a beautiful Christmas present! 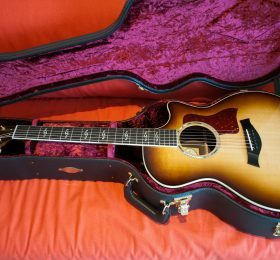 I love Taylor guitars! 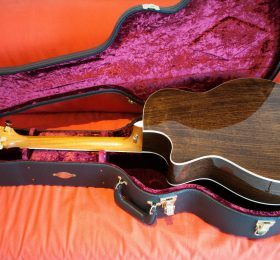 You just pick the guitar up and feel the amazing quality, attention to details, nice sound and sophisticated wood selection. 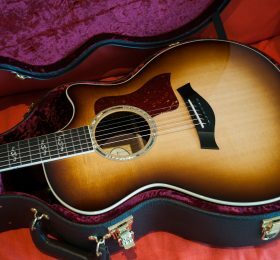 solid sitka spruce top, rosewood back/sides, shaded edge burst finish,Venetian Cutaway, ES2 electronics system, and a whole host of premium-grade appointments…The whole package is stunning. 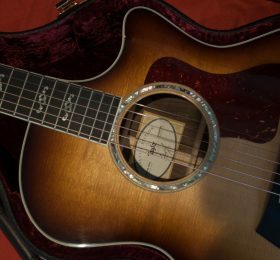 The classic tonewood combination of Rosewood and Spruce helps the guitar to produce a pleasing mix of warmth and tonal definition that’s absolutely perfect for you, regardless of how you want to play it – after all, there’s a reason that this particular combination is such a popular choice. 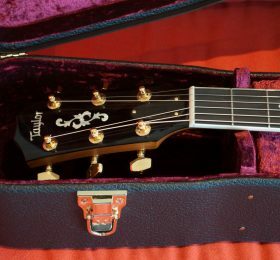 Taylor’s very own ES2 pickup/preamp system offers you a revolutionary pickup design, engineered specifically to deliver the latest in Taylor’s ongoing innovative acoustic guitar amplification development. 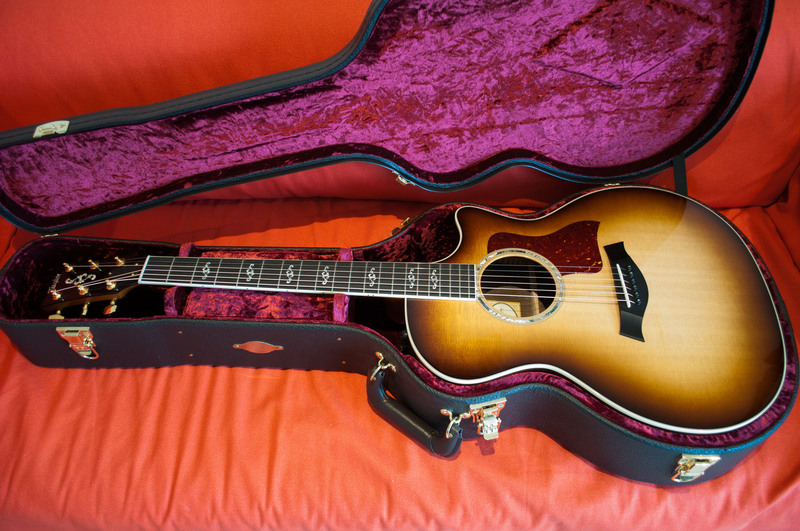 The system offers a patented behind-the-saddle pickup that features three uniquely positioned, individually calibrated pickup sensors, and as a result captures a much more dynamic range of acoustic sound than any of its predecessors. 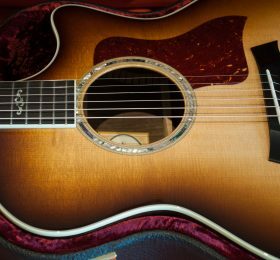 This pickup is complimented by Taylor’s custom-designed “professional audio”-grade preamp, that produces a highly-responsive playing experience, and an incredible amplified tone. The pickup and preamp combination ensures that whether you’re on stage and playing through a PA or amp, or even recording directly into a studio desk, your guitar signal is recreated as faithfully as you could wish for. 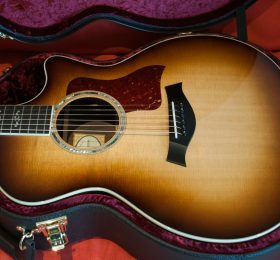 This 414CE really stands out in comparison with other guitars in its class, largely due to the stunning premium-grade appointments on show. 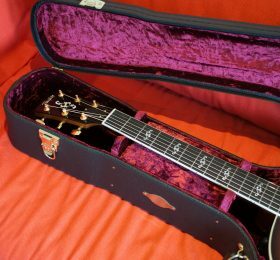 Whether it’s the “Taylor Gold” tuning pegs, West African Ebony fretboard, grained ivoroid binding, engraved Victorian fretmarkers, or that gorgeous 3-ring, green abalone rosette, this guitar would make a visually (as well as aurally) stunning addition to any guitar-players arsenal. 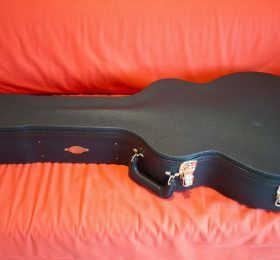 This guitar also comes complete with a deluxe Taylor hard shell case to keep it safe. The built in Taylor expression system is probably the best sounding built in acoustic guitar pickup and amplifier system on the market! It sounds amazing! 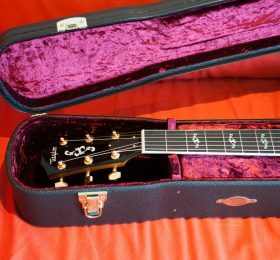 This guitar is in very very near MINT condition!